Anybody moving to Kentucky today can still understand what makes it such an excellent place to live. From its fertile grounds in the southwest, up to the mountainous Appalachian region in the east and all the way to the Blue Grass metropolitan heart of the state. Kentuckians are as varied and special as the surplus of interests their state holds. Southern hospitality is still alive and well, so you’ll find proud residents of Kentucky happy to welcome newcomers to their beautiful state. And Verified Movers reviews have just the right interstate moving companies Kentucky as a welcoming committee for you! 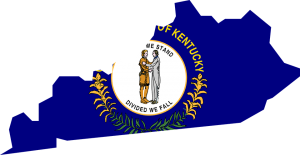 The Bluegrass State awaits for your decision and plan to ride into town with some help from verified interstate moving companies Kentucky. What are the main reasons for a cross-country move to Kentucky? Kentucky, like most states, seems to take pride in its heritage and culture. Why wouldn’t it? After all, its reputation for fried chicken and horses are more than great. The state has a plethora of different cultures and experiences. The distinctive regions of Kentucky offer newbies varied views of the state. Before thinking of moving to this derby-loving region, consider a few top insights. The cost of living in Kentucky is 11.4% lower than the US average — good news for anybody considering moving here! Chances are you can afford to buy a home or rent a property in Kentucky, even in the state’s more densely populated cities. 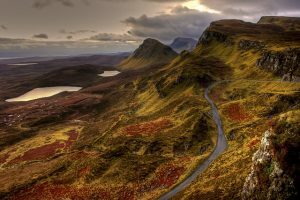 While more people seem to leave the state than move in, this is good news. As a result, housing prices are low. U.S. News ranked Kentucky 12th for housing affordability in the country. Kentucky is unique in that it offers a fifth season: Derby Season. The Kentucky Derby takes place at Churchill Downs in Louisville each May. And this is when many residents spend a few weeks before the big event attending parties, celebrations, and festivals. 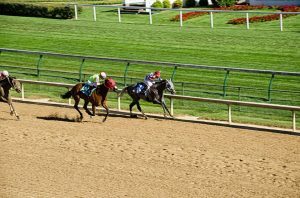 The Kentucky Derby Festival Marathon and mini-marathon, golf tournaments, concerts...basically, there’s a lot of fun you can experience during this special season. 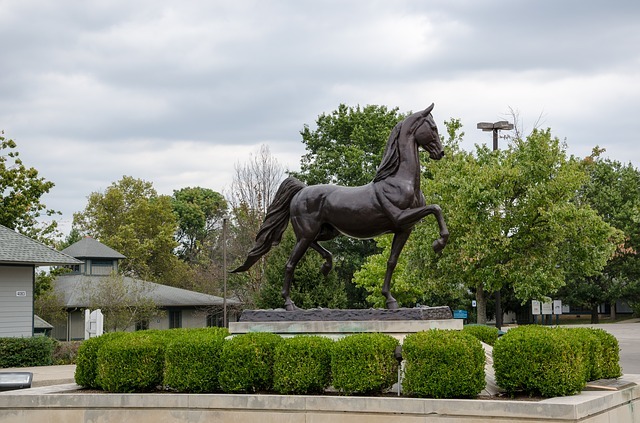 Explore the Kentucky Derby - a truly unique manifestation that the entire state celebrates. Great sports rivalry between state colleges in all types of sports will have any sport enthusiast call up interstate moving companies Kentucky. The state is a top spot for the auto-manufacturing industry, along with healthcare, education, and IT sectors. There’s no better place to live than the Bluegrass State if you love bourbon. The biggest influence - Bourbon Trail with its dominating presence in the state. The outdoors of Kentucky are a mesmerizing destination that is known for its sandstone rock bridge called the Natural Bridge. 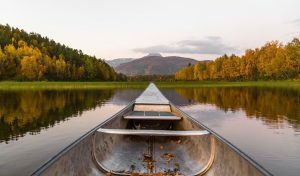 Hiking, camping and climbing are just some of the activities you can explore state-wide. Kentucky has something for everyone, and you have cross country moving companies Kentucky to show you the way towards your new home. Plan on moving to KY during the fall or winter. Spring is the rainy season, and temperatures during the hot and humid summer can make moving difficult. Storms usually occur in the spring and summer, between March and September, but can happen year-round. The state is a commonwealth, which means its 120 counties have their own rules and regulations. You might want to explore those before hailing cross country moving companies Kentucky to the rescue. Ranging from one-bedroom rental apartments to luxurious Victorian homes, the selection of homes in Kentucky is quite ample. So, take your time before you purchase your new home. That way, you can be sure you’ve found the best match for your needs and budget. You have up to 30 days to register your vehicle after moving to KY. Fees are $9 for the title, $22 for recording any lien and approximately $21 for registration. And you have the same time frame to obtain a Kentucky driver license after your relocation. So, make sure to contact your county clerk’s office for details. Why Verified Movers and its team? Let’s start from the top. Moving is hard. It is a process that has many layers. And many moving parts. We all know that. However, planning a move is a process as well. And finding the right moving professional for the job is everything but simple and easy. That is why you need a reliable team by your side. Something Verified Movers is more than happy to provide you with. Every step of the way. Our cross country moving companies Kentucky are properly licensed, insured and professional. And even more importantly, our interstate movers Kentucky are more than able to provide you with all the assistance you might need. It doesn’t matter if you are looking for commercial, household or even senior movers – you will find what you are looking for in our database. For sure. And in no time. And if you need some special moving assistance, don’t worry. Our cross country moving companies Kentucky can provide you with it as well. And if there is anything else that you need, feel free to contact us at any point. We will make a customized solution for your upcoming relocation in no time. 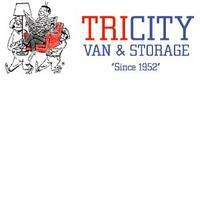 Our team is here to help you move quickly and efficiently. Yes. Moving from one state to another one can be hard. On the other hand, we all love our new beginnings. And that is precisely why you should leave all the hard work to our cross country moving companies Kentucky. Let professionals handle everything for you and enjoy your fresh start. Ensure your safety and satisfaction with one click. Yes, it is possible. Do it now!